It’s important to us that we are continually updating our products, constantly growing and changing so that we can be sure we’re offering you the best. Every day, we’re listening to feedback from you, testing and re-testing the products, and dreaming up ways we can make them better. 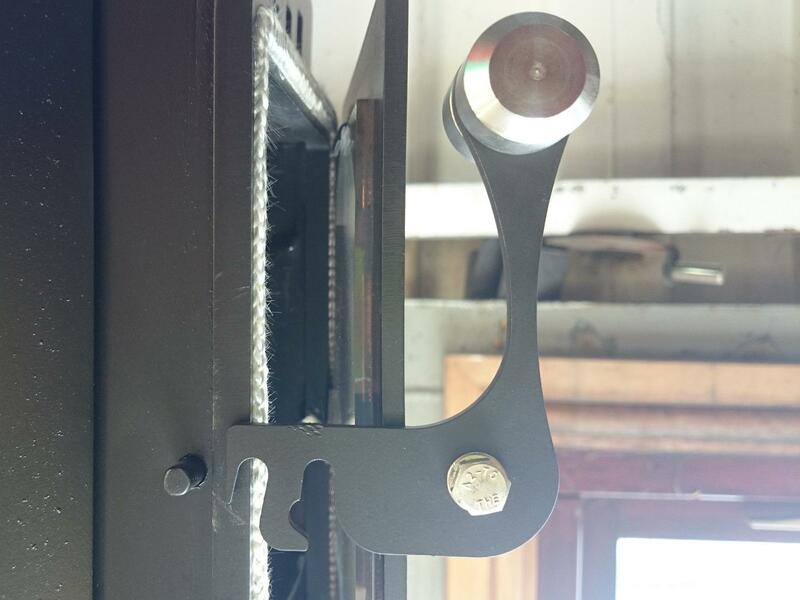 Most recently, this has led to the redesign of our Traveller Stove latch, which is used to control the opening and closing of the stove door and so controls the airflow. 1) Fully open, for when you have just lit your stove and you’re getting the fire to catch. You should keep the door in this position for around 30-40 minutes, until the fire is roaring nicely. 2) Ticking over (pictured). This is the standard door position, letting in enough air to keep the fire going without burning up all your fuel. You can slightly adjust the air supply in this position, allowing you to let in slightly more or less air as needed. 3) Shut down. Pushing the latch down further will cause it to slide into the final, closed position. This shuts off the stove’s air supply and closes down the fire. The first latch worked great, and was really easy to use. It allows for slight adjustments to be made depending on how much airflow you need, while still being really user-friendly and simple. To be honest, we never had any complaints! But we started thinking about ways that we could make it even better. On the new latch, we’ve made the three positions even more clear-cut, so it’s easier to see exactly where you need the latch to be depending on what stage you’re at in your firelighting. 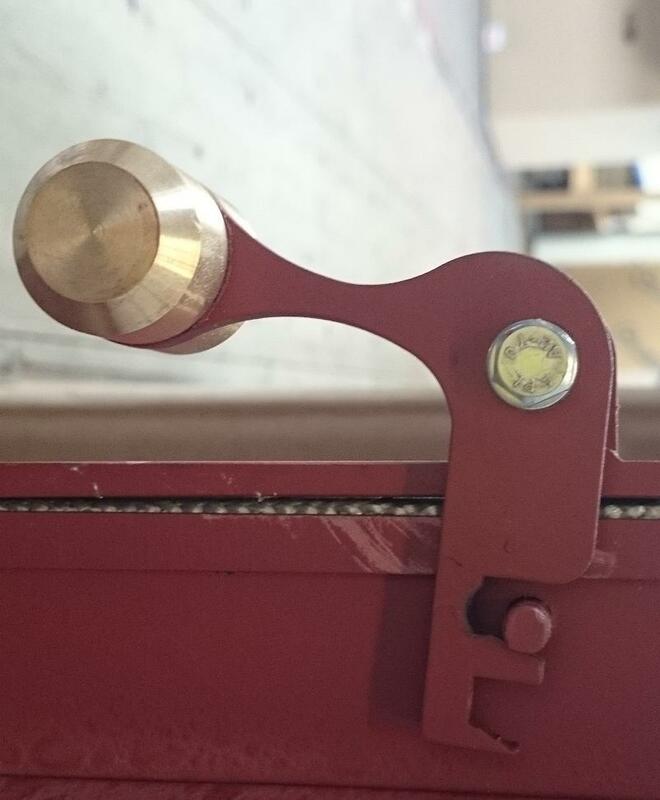 The latch will now slot smoothly into position, so you know you’ve got it in the right place. When you’re lighting a fire in your tent, safety is key even when you know exactly what you’re doing. To give you total peace of mind when you’re using your stove, we’ve also improved the design of the latch so that when it’s in the ‘ticking over’ position the door is fully secure. This means that even if logs shift or fall inside the stove, there’s no chance of the door moving. What do you think of the new design? 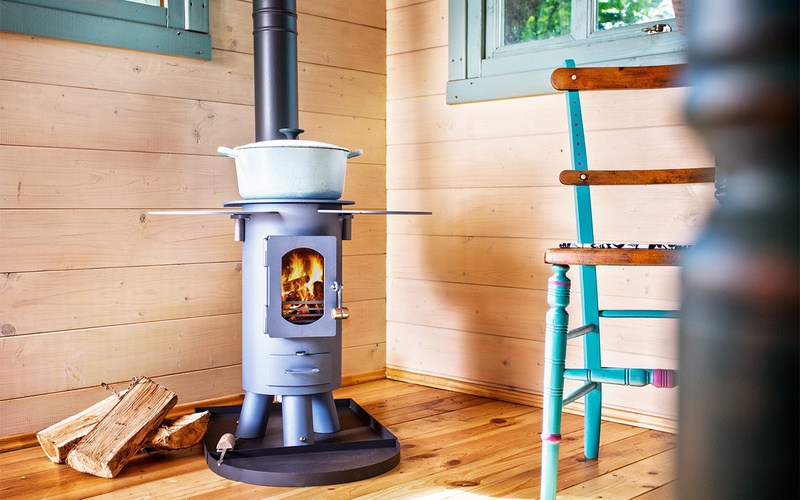 If you’ve got any suggestions for alterations or improvements we could make on the current designs of any of our stoves, feel free to get in touch! We love hearing feedback from you and we’re always open to hearing your comments. Drop us an email at info@anevay.co.uk, or connect with us on Facebook, Twitter or Google+.